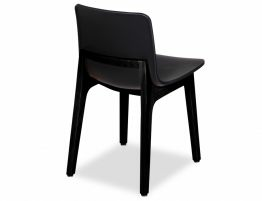 The Ara Dining Chair is without a doubt a stunning modern black dining option to suit the most contemporary of interiors. 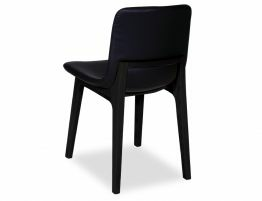 Now with added black frame to suit many other households or cafe/ restaurant, it's a hard design chair to look past. 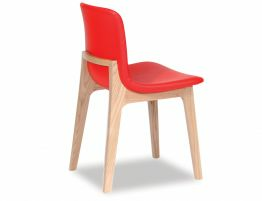 Strong solid timber frame and beautifully contoured seat mould to the natural form of the human body. Add some life to your kitchen eatery, bring your favourite dining table up to date or add a modern look to your commercial areas, Ara is sure to please. 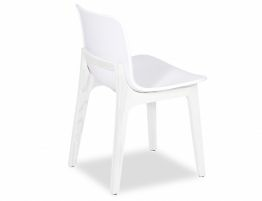 Ideal for the busiest of households or cafes with plastic contoured seat, making it easy to clean and the durable. 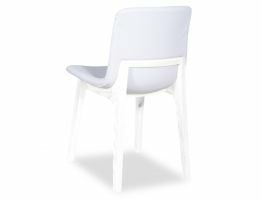 Enjoy the Ara dining chairs for many years to come.